The North Carolina Employment and Training Association had its beginnings in early 1967. 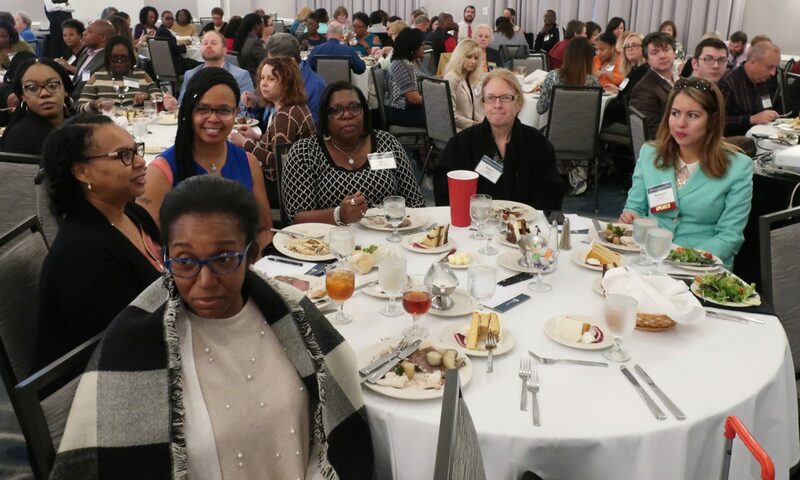 Several directors of Neighborhood Youth corps (NYC) programs in the state attended a national meeting in March of that year in St. Louis for the purpose of learning how to operate in-school, out-of-school, and summer youth programs. At that meeting, the new Manpower Development and Training act was introduced and discussed. During the fall of 1967, ten NYC directors met at the Sir Walter Raleigh Hotel in Raleigh and organized the Neighborhood Youth Corps Directors Association, which existed until 1970. By then, the needs of NYC staff in general had become so numerous that the directors voted to include the staff in their organizations’ meetings and to change its name to the Neighborhood Youth Corps Association. The Association continued its evolution and again, in 1975, changed its name to the North Carolina Association of Manpower Programs in recognition of the expanding needs presented by the increasing number of manpower programs statewide. By 1977, the operation of manpower programs extended beyond the realm of Community Action Agencies, where it had begun in the late 1960s. The decision was made to bring all manpower programs under the umbrella of a single organization, so the name was changed yet again to reflect the current range of program and agencies involved in the manpower development effort. The resulting North Carolina Employment Association added to its nucleus of community-based organizations a whole new complement of agencies. In 1973, Congress failed to reauthorize the Manpower Development and Training act in favor of the Comprehensive Employment and Training act (CETA). By 1981, CETA was surrounded by criticism and controversy, and its negative image led to a substantial decline in the Association’s membership. Only through the Board of Directors’ efforts was the life of the organization sustained. Congress allowed CETA authorization to expire and replaced it with the Job Training Partnership Act (JTPA) in 1982. Through continued dedication of program operators and state policy makers, new life was breathed into the state’s employment and training initiative. All along, the North Carolina Employment and Training Association persevered in providing staff development and training opportunities for its membership.